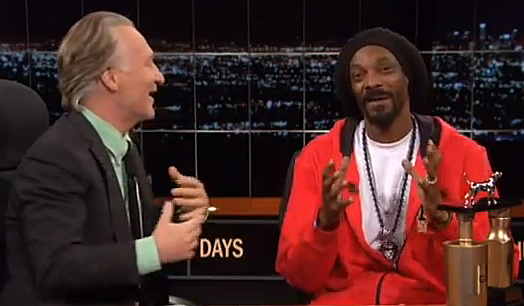 Bill Maher likes to say, "The only thing bad about marijuana is it makes you eat cookie dough." After California passed Prop 215 legalizing medical marijuana in 1996, Maher made pot a big part of his late-night TV talk shows - on Politically Incorrect and HBO's Real Time with Bill Maher (Fridays, 10 pm EST). Also a stand-up comic, he's given speeches at NORML and MPP conferences (he's on their boards) and hosted a NORML benefit concert in Los Angeles in 2004. "Prescription drugs are the real killer in this country," Maher says. "When you hear a lobby called Partnership for a Drug-Free America, just remember - they do not want a drug-free America. They want an America free of the drugs that are their competition: Marijuana, which never killed anybody." Born on Jan. 20, 1956 in New York City and raised in New Jersey, Maher moved to California in the '80s intent on making a career as a comedian. By the '90s he began cultivating his ultra-liberal reputation. Now one of America's top political pundits, Maher appears on TV (most often CNN), stage (stand-up) and in movies, such as his documentary Religulous. According to his website, "Bill Maher has received more Primetime Emmy Award nominations without earning a single win than anyone else past or present in the TV industry." That's 10 forReal Time, 10 for Politcally Incorrect and four more for specials for a grand total of 24 Emmy nominations. However, Real Time did receive a 2006 Stony Award for Best Cable-News Series. In 2012, Maher bought a minority interest in the New York Mets in 2012 and donated $1 million to the Obama re-election campaign.